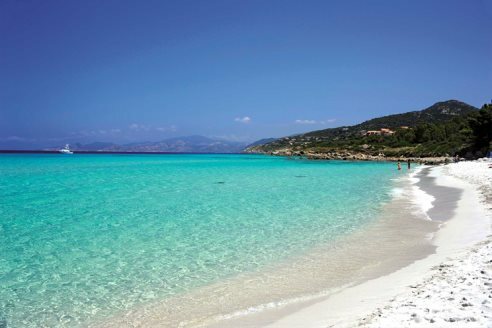 Just a short hop from the UK, compact in size and an island where things happen at a much slower pace; Corsica is one of the world's low-stress holiday destinations. While it isn't known for its kids' clubs and wild nightlife (part of the reason we love it so much!) 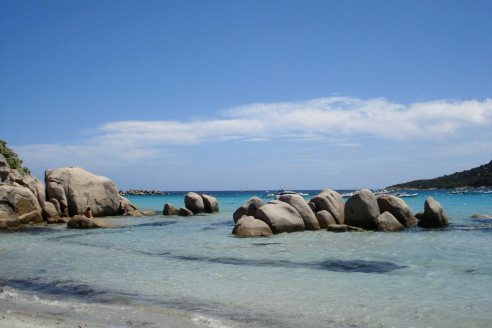 there is plenty for all ages and aptitudes to do during Corsica holidays. 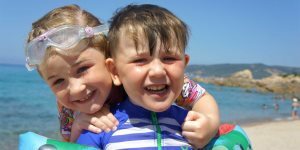 It's fantastic for family holidays of all kinds - young families, families with older children, a trip away with your mum and dad - and perfect for groups of friends and larger party sizes. 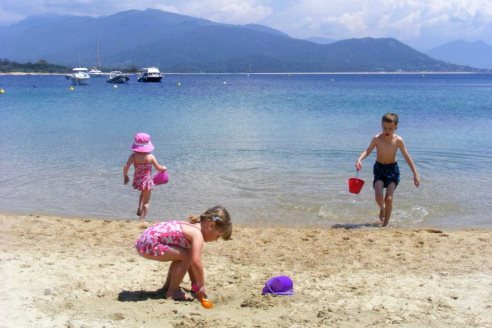 We also offer some rewarding child discounts, presenting some great savings on your family holiday to Corsica. 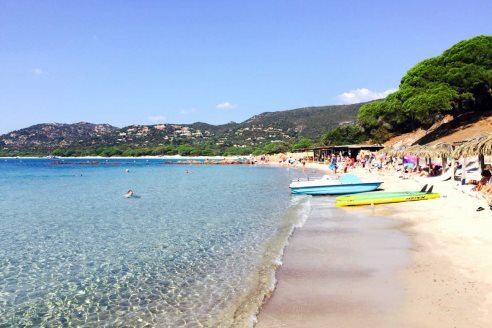 Calvi's beach is a sweeping bay of powdered white, ideal for families due to its gently shelving gradient, as well as warm and protected waters. On top of this, it's inclusive of several restaurants and cafés, some of which serve directly onto the beach. 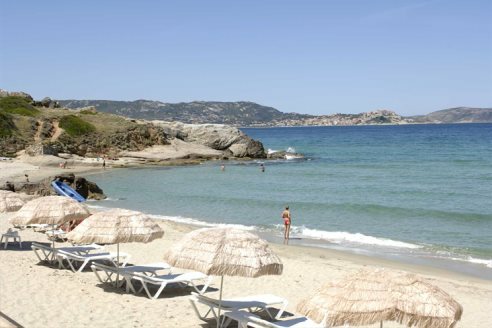 Arguably the most famous beach on the island. An exquisite blend of fine white sand guarded by huge red granite rocks, fronted with gorgeous blue seas, and lined with beautiful pine trees. 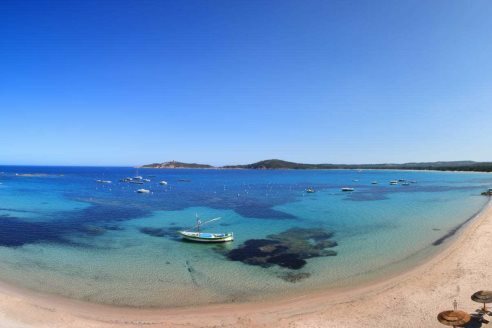 We think the most photogenic of all the beaches in L'Extrême Sud! It sits in a magnificent horseshoe bay with its shallow and translucent water making it the perfect swimming spot for the little ones. 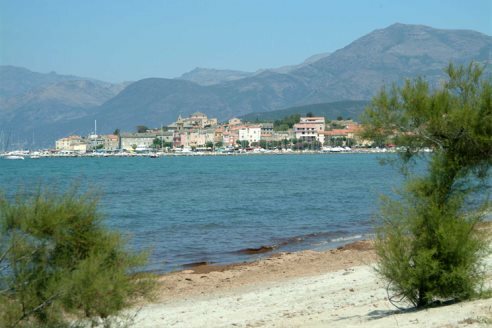 The main town beach in St Florent can be reached on foot from the port de plaisance or by car just west of the town centre. There are a multitude of water sports available including windsurfing, sailing, canoeing, jet skis and diving. 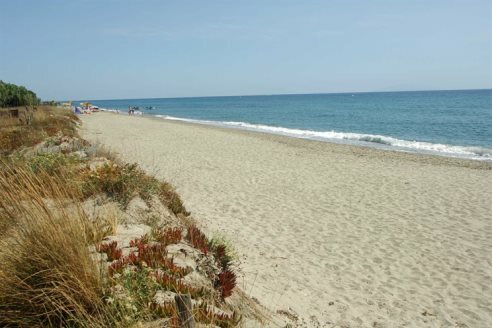 A town beach which is generally patrolled, making it ideal for families. It's a fine yellow sand beach and the water is a gorgeous clear blue, plus there are good opportunities for water sports. 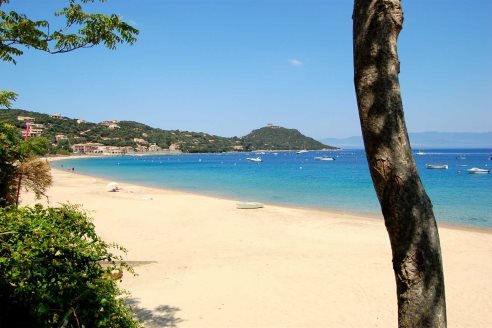 Has a long sweep of soft white sand and is backed by a pine forest, ideal for any members of the party who need shade. 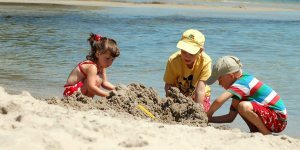 This beach is also great for younger children as there is a nice wide stretch of warm shallow water too. This beach has fine sand and turquoise shallow water making it an ideal choice for children and for snorkeling. There are also a couple of restaurants on the beach and a water sports centre. 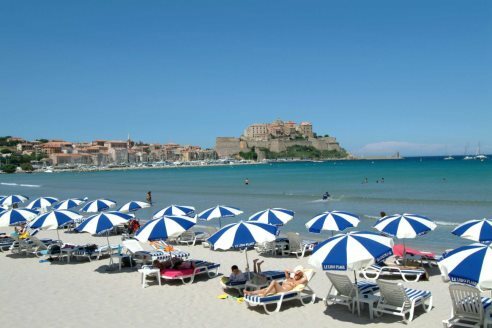 A small beach with stunning views of Calvi Citadel across the bay. Sheltered between rocky headlands, this beach is perfect to swim, paddle or snorkel plus it has a small restaurant. This is a busy little resort set on a horseshoe bay with a lively marina and a sheltered sandy beach. The bay is lapped by gentle shelving and very clear water. Boasting a 14km stretch of golden sand, this beach offers a couple of spots for watersports and several beach bars. 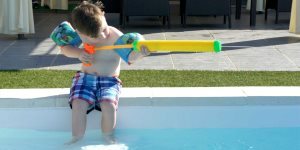 A family holiday in Corsica is sure to leave you with some glorious memories, and the central focus for this will be your villa. Spacious, well-equipped, with outdoor eating areas where you're sure to spend long hours watching the sun set, not to mention your own private pool... Tempted? 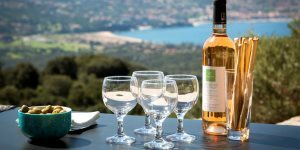 We're pleased to work with Avis to offer a flexible and competitively priced car hire service in Corsica - including exclusive benefits for Corsican Places' guests. Let us know what works best for you and we'll be on hand to advise the best choice of car for you and your holiday party. We want you and your family to feel safe and secure. So please do ask if you have any concerns with regards to pool areas, instances of steep steps and any concerns you might have regarding the local environment and landscape, including busy roads, beach safety, your family hotel etc. 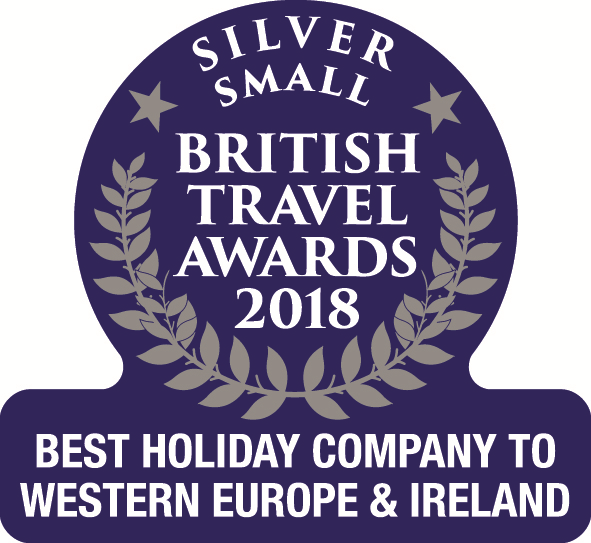 We're very proud of our customer service record, and a large part of this is down to our reps in Corsica. 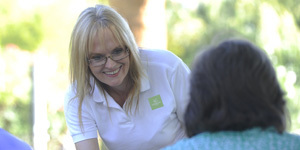 All of our reps are on hand to help with any queries you might, they all speak French and excellent English, and they're always ready with a smile whenever you need them. Highchairs and travel cots are provided free of charge in our self-catering properties. Please request at the time of booking or let us know at your convenience and we will arrange this. Cots and highchairs can also be requested for hotel bookings. Please note a small supplement may apply. Valid off our full brochure prices when using flights departing from Stansted or our charter flight Manchester - Calvi. One child discount is available per full paying adult. 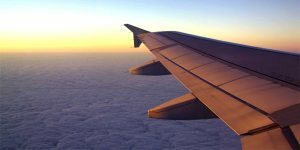 We're well aware of the challenges of flying with children, so we're on hand to try and help where we can. For our Manchester - Calvi flight, we offer dedicated check-in desks and help with boarding and we offer in-flight magazines on all our flights, including games and activities for children. Staff were friendly, knowledgeable and efficient at every stage, from my initial phone enquiry through to our departure from Calvi airport. The website was attractive and informative, and the booklets then had further useful practical advice. Hard to think of anything to improve!